TN Government's Solar Policy Coming soon. We are NSIC Approved. 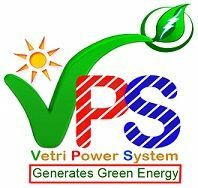 Vetri Power System incorporated in the year 2010 with the main objective of producing world class Solar Energy Systems for harnessing of power from sun. 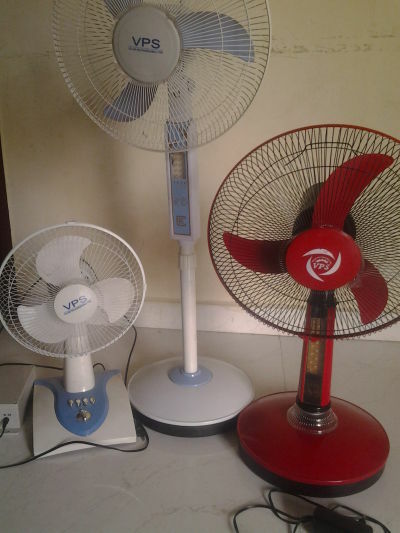 We have developed our skills in such a way that should be utilized to manufacture high quality solar products and the first step in this direcion is our High Speed Solar/Rechargeable fans indigenously manufactured by us and it is available in Table, Pedestal and Wall Mounting types. All our fans runs on solar energy and AC Power also. Our Solar Water Heater is being used by reputed companies and industries across Tamil Nadu. Starting this company has been the dream of our Director, Mr. P. Venkatesan, a diploma holder with D.M.E., who has been having a vast experience in the field of Electrical& Electronics, and this dream came into reality this year by his hard work and untiring efforts. Our vision is to become a leader in solar green energy products in India and thereby help our state to become self-sufficient in power. We are entering into solar products such as solar water heater, solar batteries, solar Invererter and Solar CFL UPS gradually in a phased manner with the support of our customers. We are proud and honoured to say that we have our own agent in China and Korea to import electrical and electronical utilities from there. We are always ready to serve for our customers round the clock. We solicit enquiries from across the globe for our products. We are the pioneer in rechargeable/solar fans in India. We have all varieties of Solar Fans - Table, Pedestal and Wall Mounting Fans.